Relaxing holidays: Close to the naturally beautiful area of Los Gigantes, you can still see its huge mountains from the tranquil area of Puerto Santiago holidays 2019. It’s far less built-up than the southern coast, and as a result offers much quieter holidays. Plus, the beautiful beach of Playa de la Arena nearby means you can just relax in this idyllic setting. 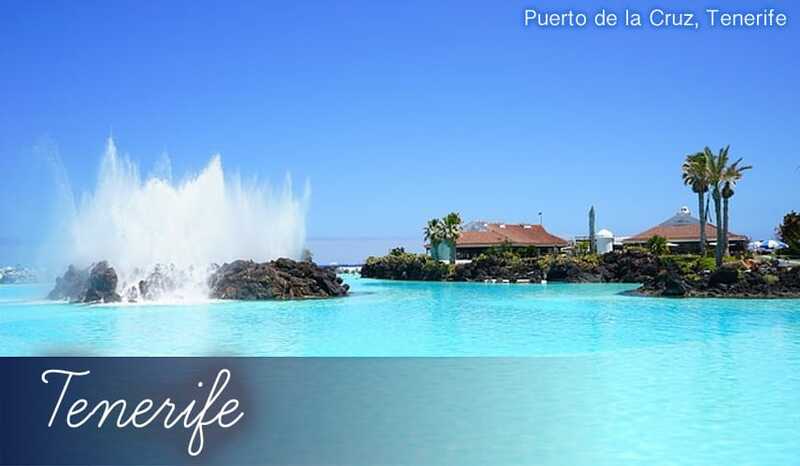 Puerto Santiago beach: The three holiday resorts of Los Gigantes, Puerto Santiago and Playa de la Arena pretty much merge into each other along the western coast. So that means you’ve got access to three quiet beaches, all fairly close by. Puerto Santiago Beach is the smallest of the three, and also the quietest, but it still enjoys the fine black sand that’s typical of the beaches on holidays in Tenerife. Playa de la Arena: A lovely place to enjoy beach holidays, this beach is also the biggest of the three in this area. There’s a fantastic view of the nearby mountains, and the road along the coast is lined with palm trees and greenery. Of course, that volcanic black sand is in full appearance here too – it’s certainly a unique look compared to the usual imported golden beaches of the southern resorts. Cafe Jardin Flor del Drago: Inventive ideas and vibrant flavours are in full force at this classy restaurant in Puerto Santiago. The cleverness of the chef is that he plays with the sweet and the savoury – Sole stuffed with Spinach and Mango, Pork in Prickly Pear Jus and Goats Cheese with Paw Paw Salad are just some samples of the unusual menu. The Fisherman’s Inn: Obviously with a name like that you’ll know that this restaurant specialises in seafood! Some of the fantastic dishes include Fish Skewers, Canarian Potatoes and Fisherman’s Pie. They’re all served rustically on wooden platters to match the traditional village-style decor. La Pergola: Italian cuisine created with real flair. You’ll find many different types of pizza and pasta here, served in a gourmet style. The restaurant also offers a great selection of seafood dishes and quality ingredients like organic vegetables and meats. Quiet drinks: For such a small resort, Puerto Santiago holidays have a rather rich and varied nightlife. There’s a surprisingly large number of bars on two compact streets. On Calle La Hondura there’s Route 66, Francy’s Cocktail Bar and Beeches. All have Sky Sports TVs and a variety of branded drinks. Then there’s Calle Los Angeles which has the lively Charlie’s Bar and Rio’s. You won’t find any clubs which stay open until the early hours, just plenty of bars with a warm and friendly atmosphere. Independent shops: Along the commercial street of Calle Herador there are many independently owned shops. They make for interesting holiday shopping and give you the opportunity to discover some real hidden gems and one-off items which you can bring back from your holidays.